There’s really only so much pasta and garbanzo beans that a person can eat. 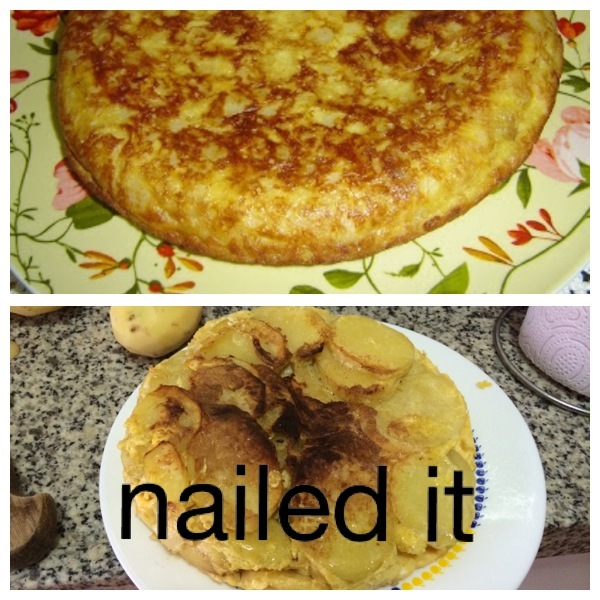 Today, I decided to give the good ol’ tortilla de patatas a try. For those of you who don’t know, a tortilla is essentially a “potato omelette,” which consists of potatoes, eggs, and onion. This is a staple of the Spanish diet and can be found almost anywhere. 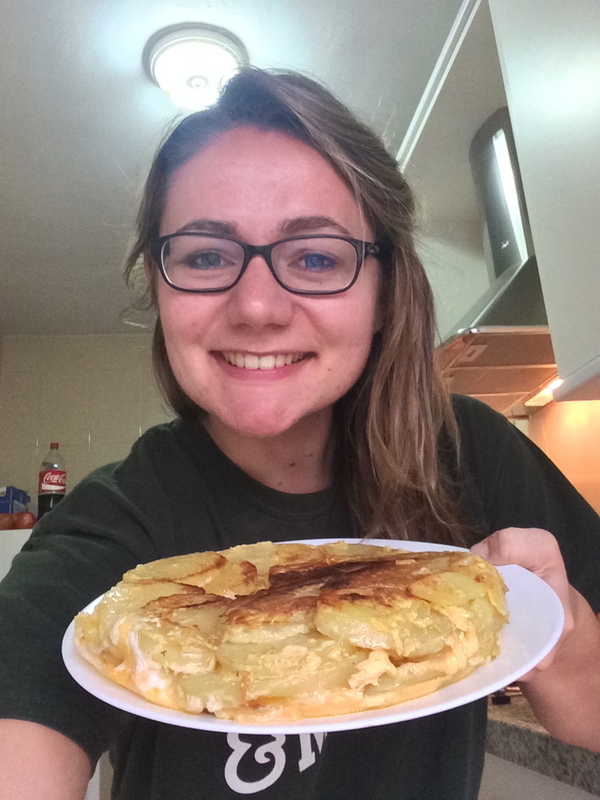 The first time I came to Spain, I didn’t understand why were were going to eat a flour tortilla for dinner and when I saw what it was, I didn’t understand why on Earth we were going to eat a potato cake for dinner. Ah, how naive I was. 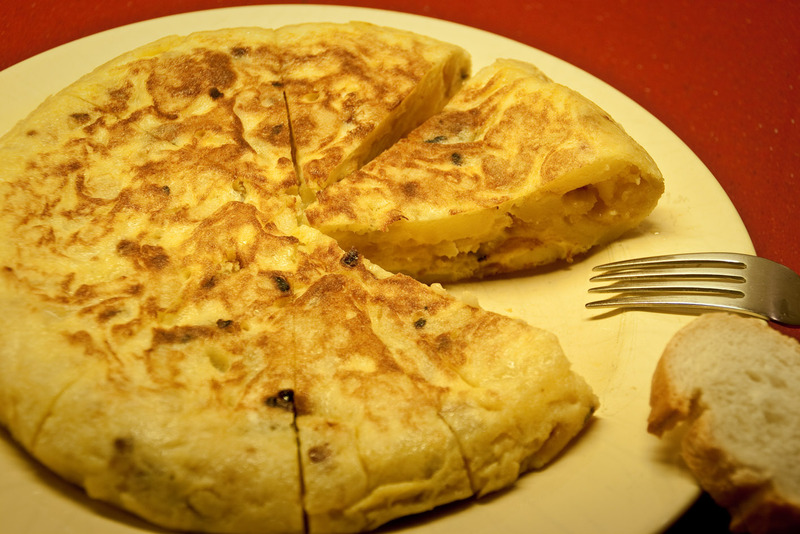 Tortilla de patatas is delicious and comes in many different flavors and varieties. 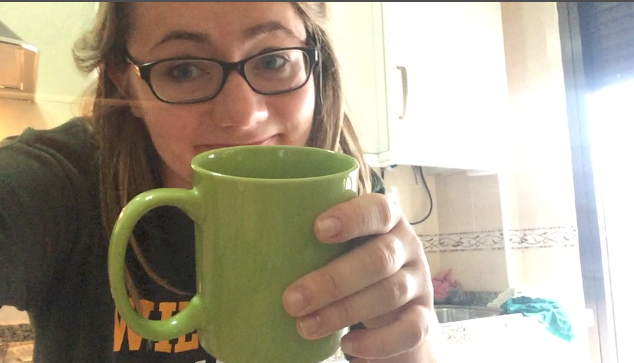 Armed with a few cursory glances at some recipes and the vague recollection of my host mom’s method, I got to work. I mean, how hard could it be? It’s literally eggs and potatoes. No problem at all. My grandfather was a cook in the Navy, so potato peeling is basically in my blood. I washed and peeled the potatoes and chopped them up. As I was finishing up, Monica walked into the kitchen and surveyed my work. “So how many tortillas are you planning on making today?” She asked with a laugh, referring to the copious number of potatoes before me. I should have taken this a s a warning sign, but my own pride had made me blind. “I’m following the recipe,” I told her matter-of-factly. Of course, I didn’t have it in front of me, because as I mentioned before, this dish is a breeze to cook. 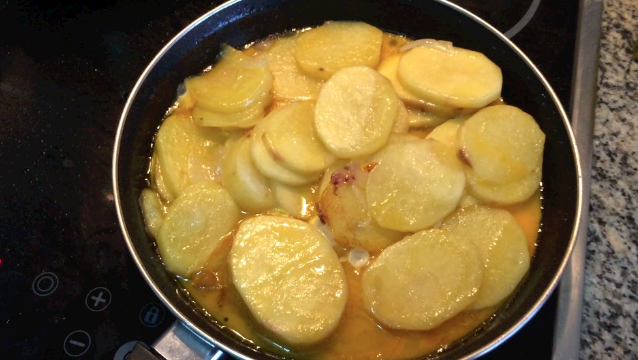 I started to fry the potatoes, which turned out to be surprisingly difficult due to lack of pan space. At this point, I start to wonder if I should have cut the potatoes smaller. I could have sworn that my host mom cut them in slices like this. This may have been my proudest moment of the entire experience. The doubt grows stronger. 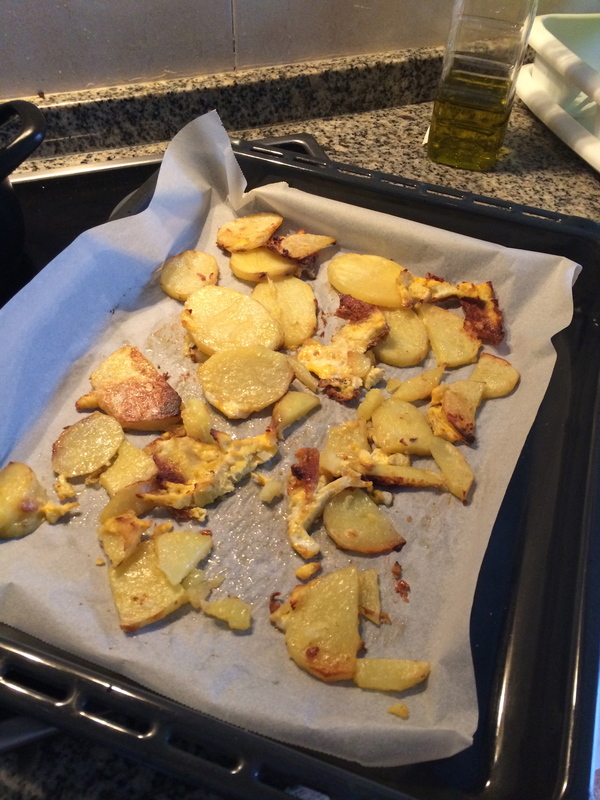 There were too many potatoes and not enough egg, which was supposed to be the glue, if you will, of the tortilla. Seeing as I didn’t have any more eggs, I figured it would be fine if there were a few lonely potatoes. The rest would stick together, right? The recipe said to wait 5 minutes, but after five minutes the egg was runny and appeared completely uncooked. I was a little concerned about this step, considering the egg was runny and the potatoes were footloose and fancy free. After I dar’d the vuelta, I was gratified to see that my tortilla actually had a tortilla-shape, even if the top was a little scorched. I flipped it over one more time and waited five minutes, then… it was done! After nearly two hours of work, I proudly observed the fruits of my labor… then burst out laughing. As you can see, my tortilla was far from a beauty queen. However, I figured it would still taste good, at the very least. I stubbornly shoveled down two pieces, crunching loudly on the semi-cooked potatoes before Francesca came over and looked dubiously at the tortilla. So what did I learn? Haphazard cooking doesn’t turn out so well and that I should probably chop the potatoes smaller next time.